Definition at line 32 of file Address.php. 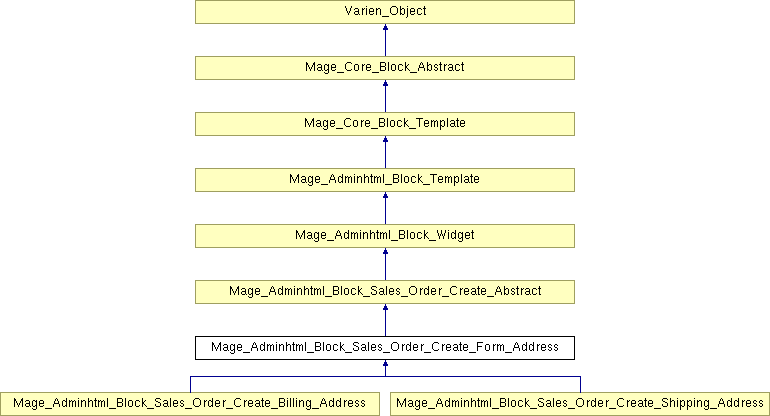 Reimplemented in Mage_Adminhtml_Block_Sales_Order_Create_Billing_Address, and Mage_Adminhtml_Block_Sales_Order_Create_Shipping_Address. Definition at line 69 of file Address.php. Definition at line 36 of file Address.php. Definition at line 120 of file Address.php. Definition at line 49 of file Address.php. Definition at line 54 of file Address.php. Definition at line 115 of file Address.php. Definition at line 63 of file Address.php. Definition at line 110 of file Address.php. Definition at line 34 of file Address.php.